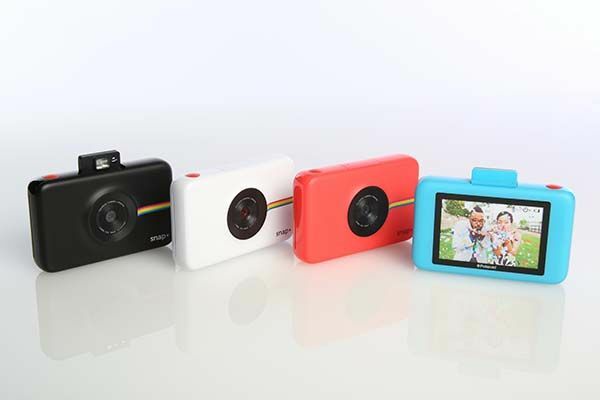 Polaroid’s latest instant camera Snap+ made its debut at CES 2016. With its new CMOS sensor and 3.5″ touchscreen LCD display, the compact camera brings you better instant print photography experience. 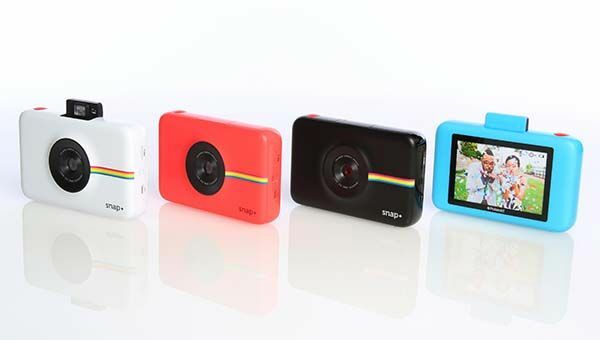 Polaroid Snap+ is the successor to Snap instant print camera released last year. As shown in the images, the instant camera follows the sleek and compact design of its predecessor, and four optional colors and iconic colored strip on the housing make the instant camera more vivid and charming. Compared with Snap with 10MP image sensor, Snap+ features a new and improved 13MP CMOS sensor that brings you higher quality photos and 1080p full HD video recording. And a newly added 3.5″ touchscreen monitor provides much convenience for framing shots and navigating the camera’s menu. Moreover, using integrated self-timer and a pop-up selfie mirror, Snap+ allows you to capture gorgeous selfies. More importantly, as an instant print camera, Snap+ features integrated ZINK-enabled printer that prints 2×3″ photos in just under a minute, and adhesive back allows you to use the photos as stickers. In addition, built-in microSD card slot supports up to 128GB in order to store all your images and videos. The Snap+ instant camera will be available in Q4 this year. If you’re interested, jump to Polaroid for its more details. Update: the camera has been available on Amazon for $159 USD.